Access to new technologies has always been somewhat traumatic for certain segments of the population. 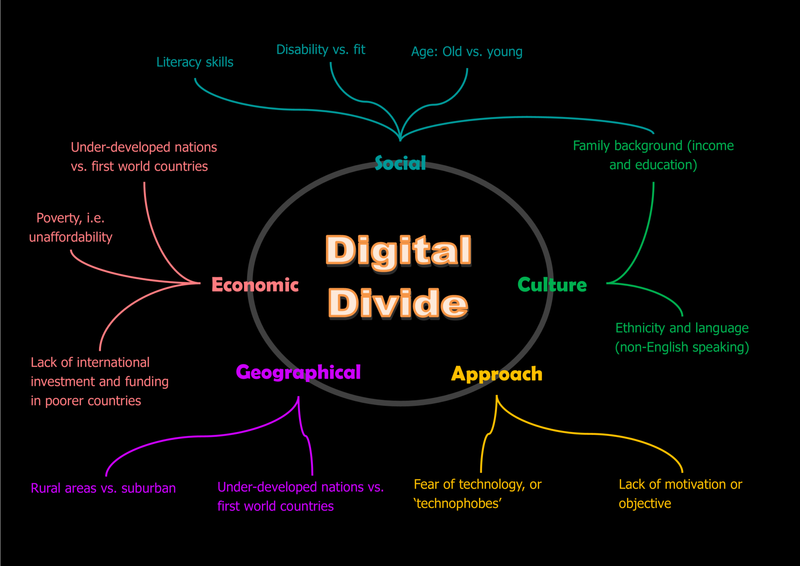 In my opinion, there are seven reasons why there can be a digital divide due to the use of Information Technology (IT): geographic, social, cultural, economic, ethnic, gender and age. If we analyze these causes in detail, the geographical reasons have to do with peripheral areas that are outside the plans of telecommunications operators for the development of high-speed internet access networks, such as fiber and 5G; the social reasons are linked to the more limited access to the new technologies of the most disadvantaged classes; the cultural reasons relate the use of the internet and the level of education of the population; the economic reasons are explained by the high cost of the operators for accessing the internet; the ethnic reasons are directly connected with the social, cultural and economic causes to explain less access depending on the ethnicity of the people; gender reasons also show a relationship between gender and the use of new technologies; and the reasons of age make clear the resistance of a part of the elderly to changes and technological development. It is interesting and should be studied, the great penetration of IT in Latin America, much higher in some cases to many European countries. But aside from the statistics, which in some cases are eloquent, I want to focus on the big problem that will occur in the coming years. Inevitably, and much more in our land, there are people who for various reasons show an almost genetic rejection of new technologies. It is not a problem of the millennials or the generation of digital natives. We are talking about people who were born between the 50s, 60s and 70s, some already retired and others in the process of being, that in some cases have not been incorporated into the digital world. These people, in my opinion, run the risk of being immersed in a state of loneliness and incomprehension. 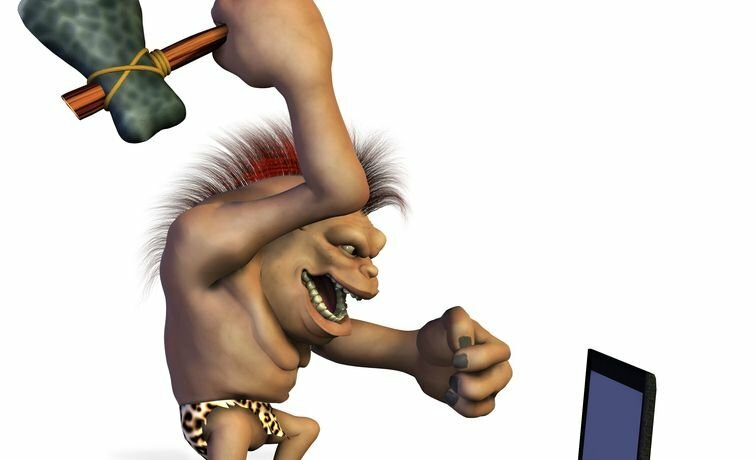 While the majority of the population uses social networks, push notification systems (WhatsApp, for example), e-mail, video conferencing and everything that will come, others live their lives as before, nostalgic, without realizing that we are in the 21st century and that the world has simply changed. The perspectives are worrisome from the point of view we are dealing with since according to a report from the same month of the Galician Institute of Statistics (IGE), Galicians have increased our life expectancy over the last 18 years by more than three years. This technological autism will surely contribute to the appearance of a kind of technological outcasts, who roam towns and cities, misunderstood, nostalgic and with the classic apology that any past time was better. Neither better nor worse, we are simply living different times that force us to evolve towards a change that seems unstoppable. What for young people today is something inherent in their lives, wherein schools from very young they are taught with touch screens, projection cannons, laptops, tablets, smartphones … in the case of older people It forces you to make great efforts. But it is an absolutely possible adaptation. We all know octogenarian people who have adapted to the use of computers, tablets and, above all, mobile phones. And they have done it for only one reason, and that is that they provide quality of life. They allow them to communicate with their own instantly without disturbing and make quick and simple videoconferences with children, grandchildren, and other family members. We must remember the resistance that in the 90s existed on the part of the elderly population to the use of the mobile phone, with some memorable phrases: “Why do I want a mobile phone, the one who wants to locate me, to call me at home”. Many of the people who said that today are fervent mobile users, simply because it gives them a very important value in today’s society.